You are here: Home / Jewelry / Bracelets / Treat yo’self: summer fling bling under $150. Treat yo’self: summer fling bling under $150. Good morning, my dears! It’s time for another Friday 3. We’re keeping it light, bright, and summery today, since it’s full on July these days. All of these pieces pair well with a mojito, a frozen margarita, or a cute lifeguard. I kept the prices low so you have plenty of funds left for a beach vacay. 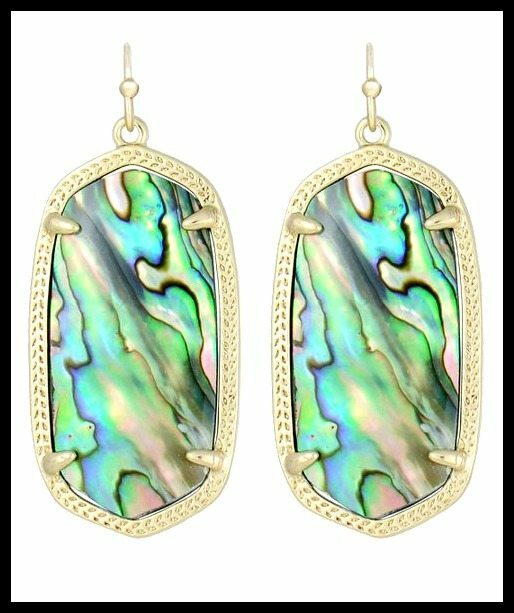 Kendra Scott Signature Elle earrings in abalone & gold – Limited Edition ($65). Tai ivory nylon gold link bracelet ($48). Kate Spade New York “On The Town” necklace ($148). This time in my opinion Kate Spade wins hands down although I don’t doubt that delicate bracelet would look gorgeous on a tanned wrist. The Kate Spade necklace is great, isn’t it? So fun. Oh yes, it is fun, it is gorgeous and very stylish without being too ornamental – perfect for a casual summer outing.